Apparently this book was released in 2015 and reprinted in 2017. Carlo Stanga is an architect and illustrator born in Italy who's based in Italy. 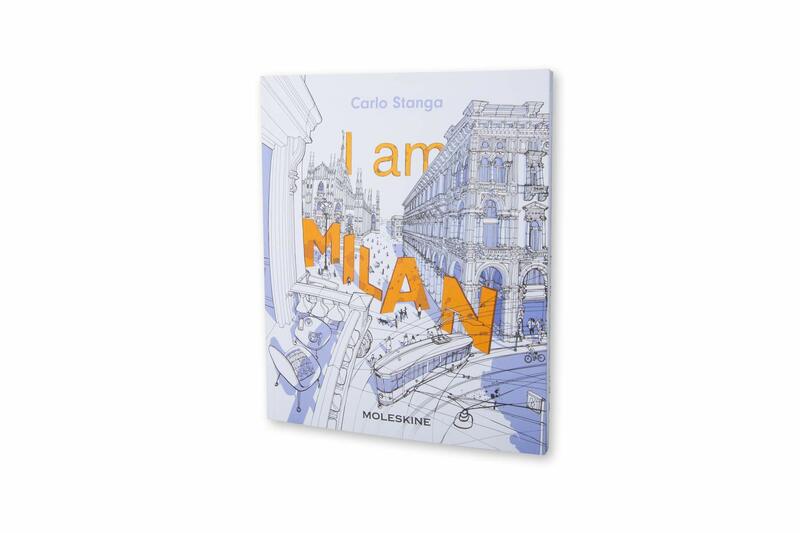 I am Milan is his first book in a series of books published by Moleskine that's dedicated to cities. This book was originally published in 2015 and was reprinted in 2017. It might be difficult to find the book but if you do find it, and like the style, I highly recommend you get it. The official retail price is US $29.90. If you can't find it on Amazon, try Moleskine's online store. Collected within this 112-page paperback book are stunning pen and ink mixed media illustrations from Carlo Stanga. There's so much detail and life in his drawings. I love the way he uses colour sparingly. There's sort of a graphic novel style to his art with the thin and thick lines and occasional ink splatter. Some of the colours are probably added digitally because they are too clean. The dynamism is really refreshing and exciting. The text is interestingly written in first person perspective that from the city Milan. This is a wonderful book, one that I will keep revisiting. Most highly recommended. The books currently in this series are I am Milan, I am London and I am New York.